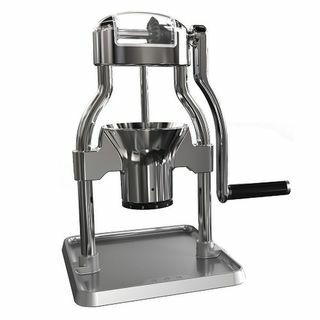 The KitchenAid blade coffee and nut/spice grinder makes quick and simple work of grinding beans for up to 12 cups of coffee. 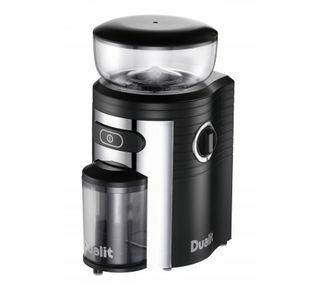 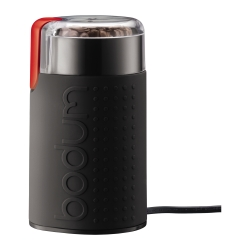 The Porlex Japanese made ceramic burr coffee grinder is the perfect hand grinder for travel or home use. 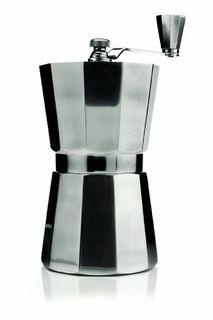 This manual moka style aromagrind coffee grinder is a professional set of ceramic grinding components, achieving the finest quality coffee. 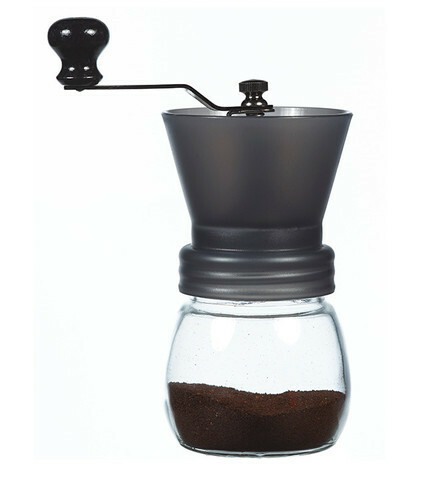 The Grosche Bremen ceramic burr coffee grinder is the ideal hand grinder for the coffee enthusiast on the go. 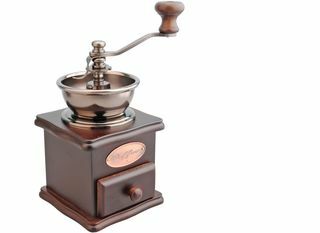 This Casa Barista retro style berr grinder with wooden base is easy to use with adjustable grind - ideal for coarse to medium grind coffee.